What happened at the Teens Age Group Online Qualifier (AGOQ)? These international youth and teens performed four workouts and were not only fantastic for their division, but some of the best across all divisions on the online qualifier. In the 14-15 year girls division Olivia Sulek won 3 of the 4 workouts in her division, and finished first on the podium by just one point over Lea Malo. These two will be ones to watch in Madison at the CrossFit Games. The 14-15 year boys division was a very different story, with Tudor Magda running away with the competition. Magda not only won all 4 qualifying events, but he also finished first in the Open. He is the only person in any division to do that. So far he’s performed perfectly, can he be stopped, or will he have a home run at the 2018 CrossFit Games? Another battle between the 16-17 year girls division, with Haley Adams just 3 points in front of Kaela Stephano. Stephano beat Adams at the 2017 CrossFit Games, can she do it again in 2018? This is one epic rivalry we can’t wait to watch at the Games. And the 16-17 year boys were the closest division for the teenagers on the leaderboard, with Dallin Pepper finishing 5 points over Dylan Kade, and just 34 points separating him in first from sixth place. Can Dallin take first place in Madison? Congratulations to all athletes that competed and gave it their all. You should be super proud of your accomplishments and all your hard work and efforts. We look forward to you coming back stronger than ever before in the 2019 CrossFit Games season. 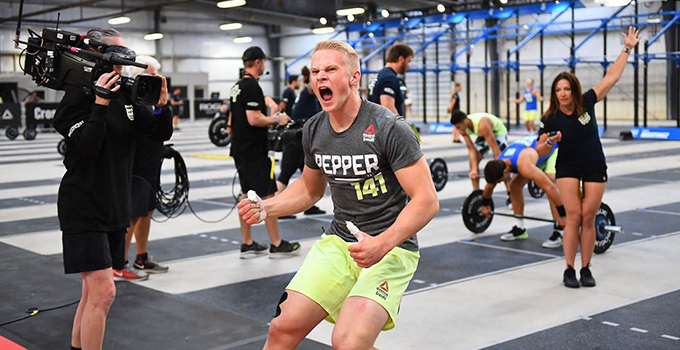 To all 80 teens who have qualified for the 2018 CrossFit Games, we’ll see you in Madison August 1st – 5th….. May the Fittest on Earth WIN! The teenage division will be a blast to watch at the 2018 Reebok CrossFit Games, so don’t miss it!